Individuals who deal with the daily muscle aches, fatigue, and other painful symptoms associated with fibromyalgia (or other chronic illnesses) may cringe at the very thought of increasing exercise and physical activity. 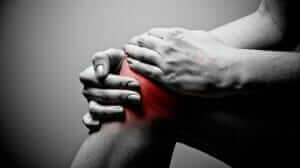 It seems to go against logic to exercise more when you are already feeling pain. Yet, the reality is that exercises — the right ones customized to fit individual needs — can benefit people with fibromyalgia and other musculoskeletal diseases and disorders instead of exacerbating their symptoms. Exercises for Fibromyalgia is tailored to improve fitness and energy levels without causing strain or stiffness. The exercises are focused on relieving pain, improving sleep, and increasing strength, flexibility, and balance for fibromyalgia sufferers. Rock back and forth from the toes to heels as a partner (spotter) provides support and balance if needed. Position your hips on top of the physio-ball (Swiss ball). Brace your core. Walk up the ball using your full foot, until you are sitting up straight on the ball. Keeping your feet wider adds stability if you feel off balance during the up or down phases. Imagine you are standing in the center of a clock face. Touch 2 or 3 numbers around the clock. As you become more comfortable, touch more numbers, then switch feet. 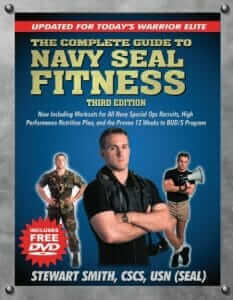 Begin on all fours with your hands and knees planted firmly on the ground. Keep your core active to stabilize your back and hips. With your non-lifting hip still pressed firm into the ground, lift the opposite knee with the outside hip muscle. Be careful not to shift your weight to the non-working side. Switch legs and repeat. 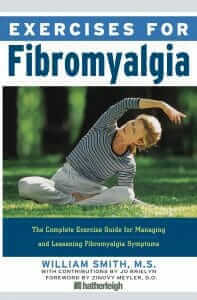 Reprinted with permission from Exercises for Fibromyalgia ISBN: 978-1-57826-361-5, $15.00 (paperback). New from Hatherleigh Press. Distributed by Random House.